Sup? This week’s post is a long one, so grab a cuppa. I know our blog is about makeup, but taking care of your canvas is just as important as the paints you use – if not more so. Cliché disclaimer: This post is about skin. We all know we’re all vastly different, so please don’t hold it against me if any of these products do not work / react badly with you. ENJOY. You’re probably familiar with the old mantra “cleanse, tone and moisturise”. Well please join me in tossing that aside to embrace the shiny new “cleanse, treat, moisturise, and protect”. 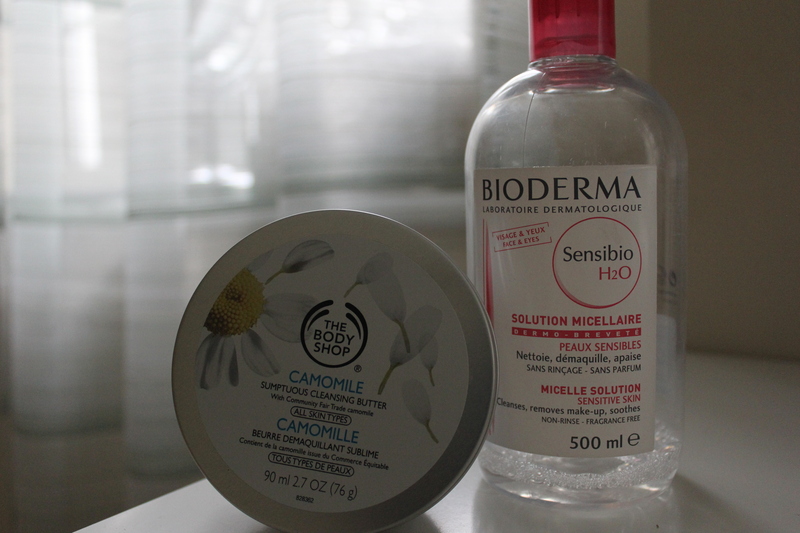 I prefer to use a micellar water (Bioderma Sensibio H20) to remove my eye makeup first. Then I massage a cream, oil or balm cleanser all over my face and buff it off with a regular flannel – this exfoliates better than a muslin cloth. This process cleans your skin thoroughly without stripping it of natural oils – which has gotta be good whatever your skin type. My favourite cleanser is the Liz Earle Cleanse and Polish. A cheaper dupe is the Superdrug Hot Cloth Cleanser, but I found it less forgiving on my sensitive skin. I’m currently trialling The Body Shop Camomile Sumptuous Cleansing Butter which emulsifies my makeup satisfyingly well. Most importantly AVOID FOAMING CLEANSERS which contain sodium laureth sulphate – the ingredient tending to dehydrate skin. I use a grainy facial exfoliater every other day in the shower, but I’ve heard they’re not great for your skin. Once I’ve tried a chemical exfoliater I’ll report back. HYALURONIC ACID (sodium hyaluronate). This is your new bae. It occurs naturally in your body and attracts moisture, meaning your moisturiser works more effectively. The first and only hyaluronic acid serum I’ve used is the Superdrug B. Nourished Night Serum which is the most affordable I’ve found – at only £10 (AND it’s almost always on half price offer). 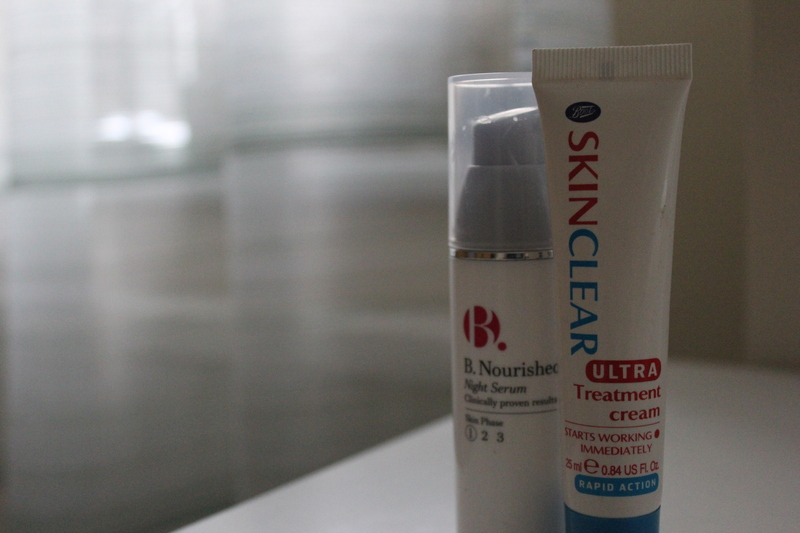 If I’m a bit spotty, I apply one of two treatments to the affected areas: La Roche-Posay Effaclar Duo[+] or the fabulously cheap Boots Skin Clear Ultra Treatment Cream – both of which give visible results overnight. Please please please moisturise – no matter your skin type. Just choose a richness to suit your skin. I personally apply a fast absorbing rich moisturiser in the morning and a face oil in the evening. 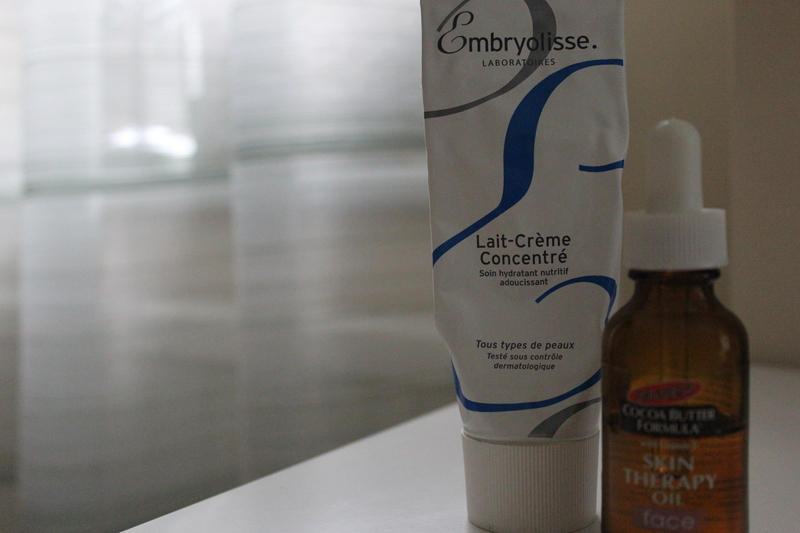 My day fave is Embryolisse Lait-Crème Concentré (which sits beautifully under makeup), but I also love Oilatum Natural Repair Face Cream (annoyingly hard to locate). Both Bio-Oil and Palmer’s Skin Therapy Face Oil have worked well for keeping my face hydrated through the night. You should always use SPF (sun protection factor) – the higher the better (slap on that factor 50 friends). Apply it in the morning straight after your moisturiser. 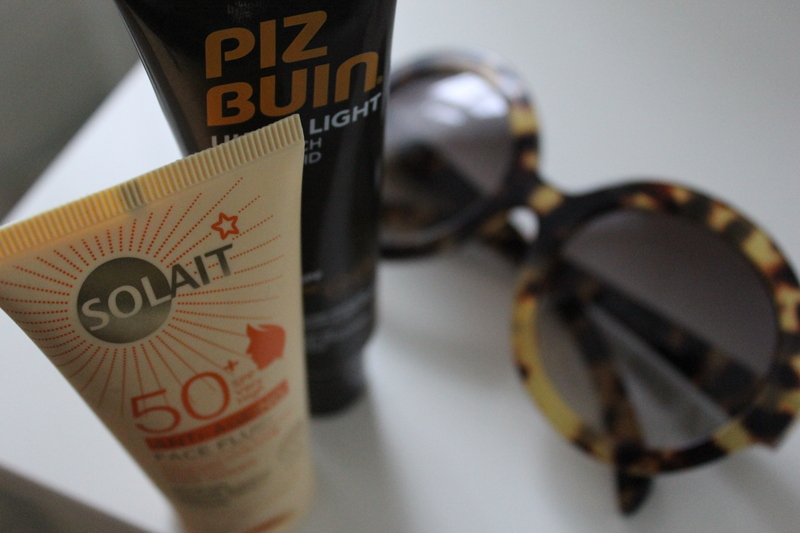 I’ve tried the Piz Buin and Solait face fluids, which do their job but are not as lightweight and matte as I’d like. I’d love some recommendations. An overnight mask and a silk pillowcase. DON’T LAUGH AT ME. Since making these changes my skin retains much more moisture overnight. The pillowcase also prevents hair frizz – two birds one stone etc. The Body Shop Bouncy Sleeping Mask has a fun consistency and does seem to seal my moisturiser in – but is definitely a trivial extra. If this seems like too much change to you, don’t worry. I transitioned very gradually to my current routine – the cost and effects were spread out. I suggest first switching to a non-foaming cleanser, then maybe try out a hyaluronic acid product. I hope this was useful for you, and if you do try out some of these tips, please let me know how it goes.